Adding Shortcut to FirstClass desktop. 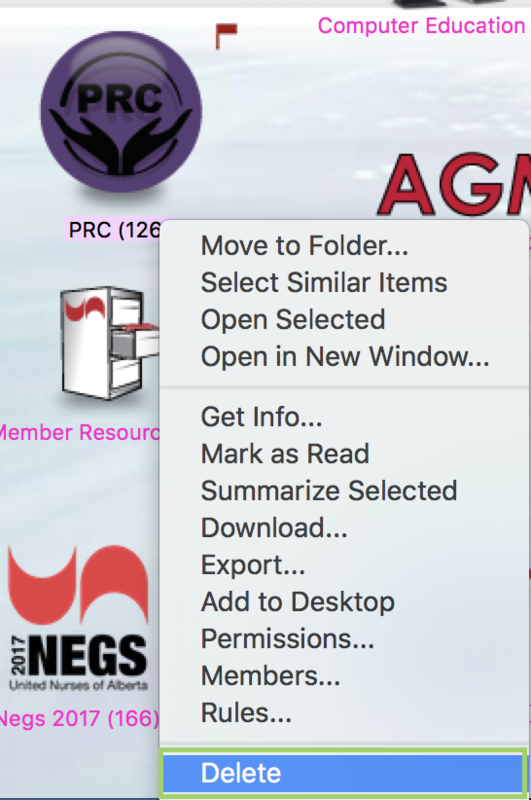 Allow for a shortcut from within Conferences to the UNA Desktop. 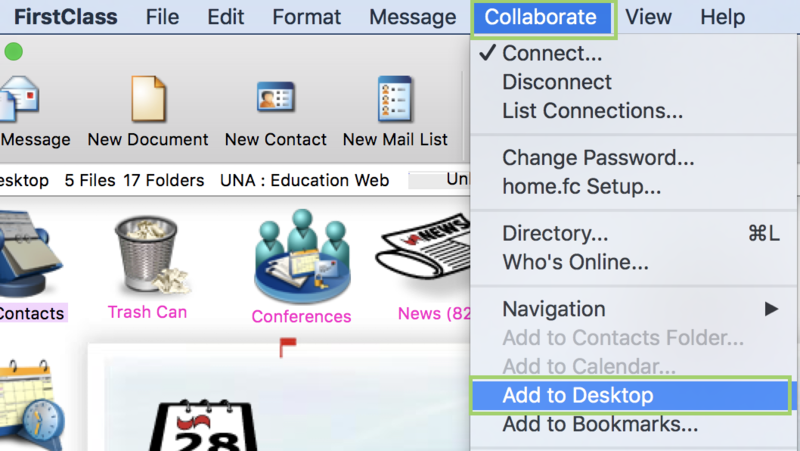 Highlight the icon requiring a shortcut.Click on Collaborate on the FirstClass menu bar, then click on Add to Desktop. The second method to add a shortcut is to highlight, right mouse button click and choose Add to Desktop. A third method is to Left mouse button click and drag. When you click and drag you need to use the Shift button on your keyboard. To remove icons for which you no longer need shortcuts, right mouse button, click to highlight and open dialog box. Click on Delete. 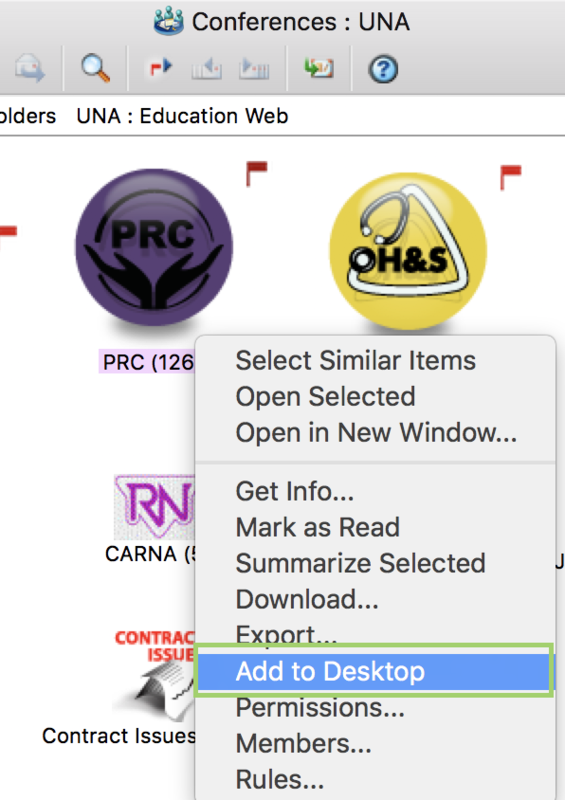 The second method is to Left Click the mouse button so the item is highlighted. 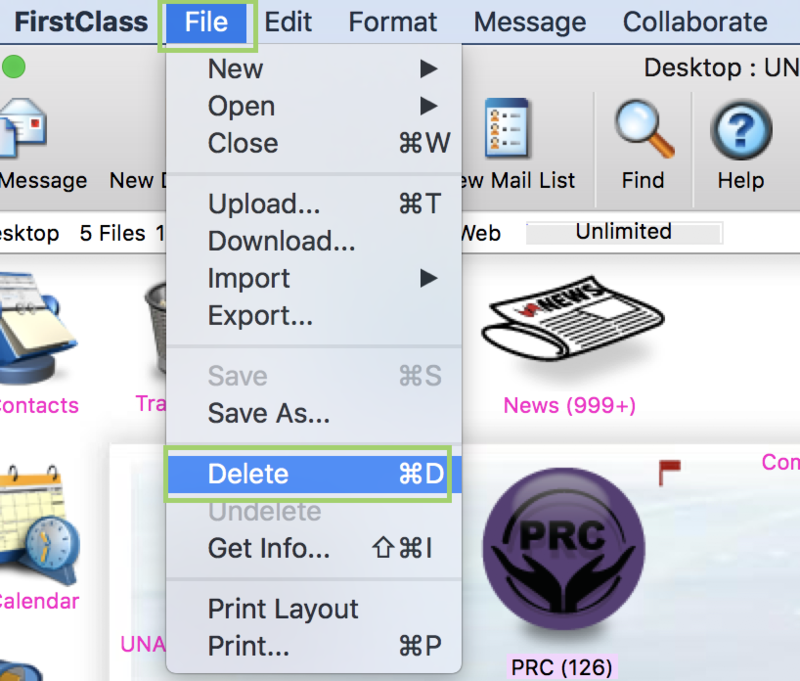 Then use the FirstClass menu bar and click on File, and then on Delete. This function can be executed in any window for FirstClass. Choose the window the button is to be added. 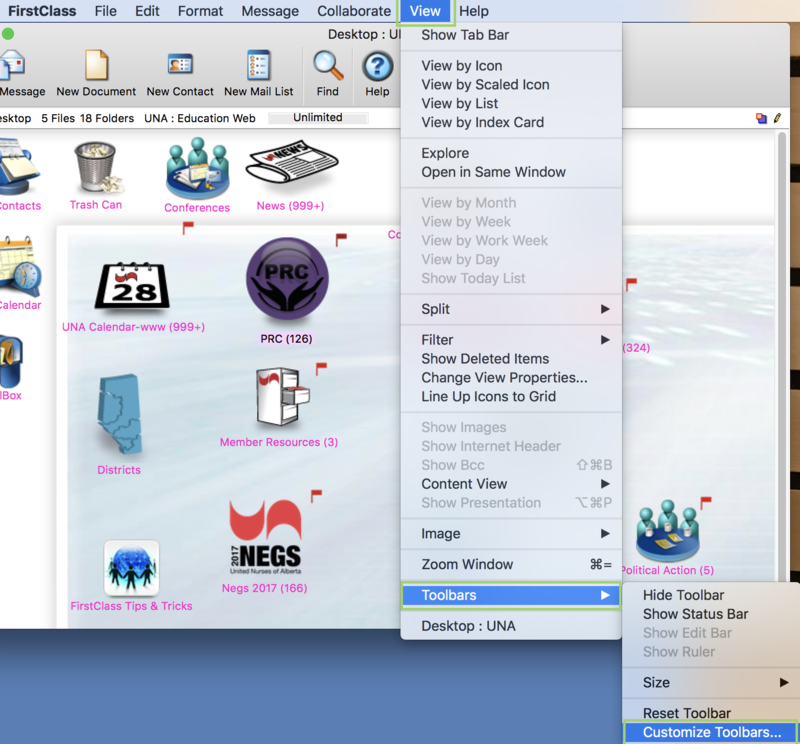 From the FirstClass menu bar, click on View, then on Toolbars, then on Customize Toolbars. The Customize Toolbars screen will pop up. Left click the mouse and drag the icon desired onto the toolbar. You can then rearrange tool bar by clicking and dragging icons to the positions you desire. To remove an unwanted button from the toolbar just click and drag it back to the Customized Toolbars screen, complete the same steps in reverse.